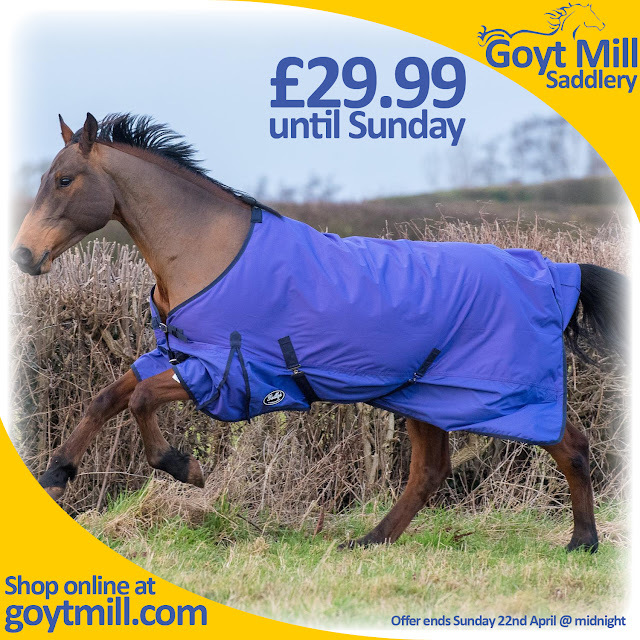 The Gallop Limited Edition Purple Trojan Lite-Weight Turnout Rug is designed to keep your horse dry without overheating, making it the perfect rug for light rain and drizzle in Spring, Summer and early Autumn. The Shower-proof breathable outer has your horse covered in both the heat and mild wet weather, and the shoulder pleats ensure maximum comfort. Although we state that our Lightweight turnout rugs are showerproof, the matierials used are certified waterproof. Whilst water will not penetrate the material itself, due to strong winds or heavy rain, water can get up under the light rug, or run down the horses neck under the rug, and so it would be deceptive to label the rug as completely waterproof.